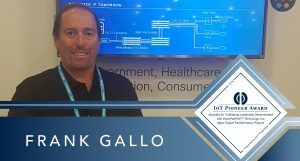 Congratulations to Cisco’s Frank Gallo for using SmartPathPoE™ technology to help a large educational institution modernize to IP telephony. Frank recommended the enterprise-grade PoLRE®managed switch, which allowed the customer to leverage their existing and proven voice infrastructure to deploy over 1,000 Cisco IP phones. 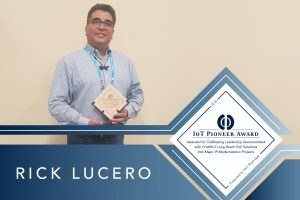 Thanks to Frank’s commitment to innovation and problem-solving, the customer experienced a 3-year acceleration in deployment time and cost savings well over $100,000! 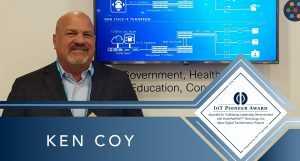 Congratulations to Cisco‘s Ken Coy for using SmartPathPoE™ technology to help a space research organization modernize to IP telephony. The customer wanted to upgrade to Cisco IP phones, however strict company policies prevented any kind of disruption to their operations. Thanks to Ken’s commitment to innovation and problem-solving, he was able to provide the customer with a solution that eliminated any operational disruption. Ken recommended the enterprise-grade PoLRE® managed switch, which allowed the customer to leverage their existing and proven voice infrastructure to deploy over 1,500 Cisco IP phones.